Although the custom of placing them on a grave probably draws upon pagan customs, the stones also symbolize the permanence of memory. The final scene in the movie Schindler’s List is puzzling. Survivors and their cinematic offspring file by the grave of Oskar Schindler. With solemn ceremony, they place stones on the grave. Why should they leave stones rather than flowers? From where does this strange custom come? The practice of burying the dead with flowers is almost as old as humanity. Even in prehistoric caves some burial sites have been found with evidence that flowers were used in interment. 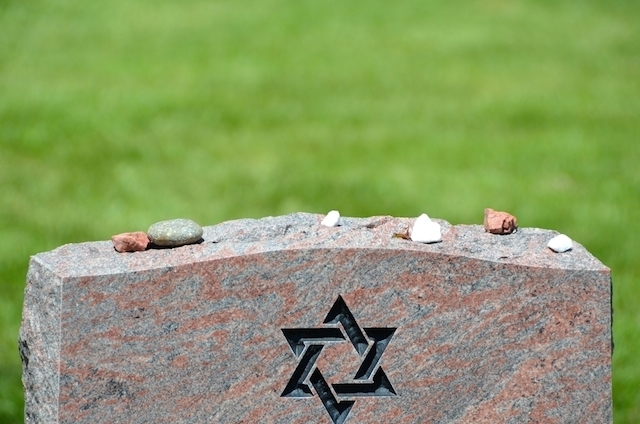 But Jew­ish authorities have often objected to bringing flowers to the grave. There are scattered Talmudic mentions of spices and twigs used in burial (Berakhot 43a, Betzah 6a). Yet the prevailing view was that bringing flowers smacks of a pagan custom. That is why today one rarely sees flowers on the graves in tra­ditional Jewish cemeteries. Instead there are stones, small and large, piled without pattern on the grave, as though a community were being haphazardly built. Walking in the military cemetery of Jerusalem, for example, one can see heaps of stones on the graves of fallen soldiers, like small fortresses. For most of us, stones conjure a harsh image. They does not seem the appropriate memorial for one who has died. But stones have a special character in Judaism. In the Bible, an altar is no more than a pile of stones, but it is on an altar that one offers to God. The stone upon which Abraham takes his son to be sacrificed is called even hashityah, the foundation stone of the world. The most sacred shrine in Judaism, after all, is a pile of stones — the Western Wall. 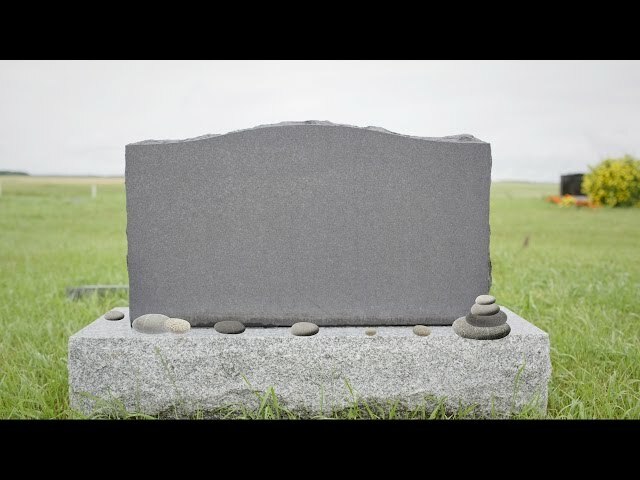 So why place stones on the grave? The explanations vary, from the superstitious to the poignant. The superstitious rationale for stones is that they keep the soul down. There is a belief, with roots in the Talmud, that souls con­tinue to dwell for a while in the graves in which they are placed. The grave, called a beit olam (a permanent home), was thought to retain some aspect of the departed soul. Stones are more than a marker of one’s visit; they are the means by which the living help the dead to “stay put.” Even souls that were benign in life can, in the folk imagination, take on a certain terror in death. The “barrier” on the grave prevents the kind of haunting that formed such an important part of East European Jewish lore. The stories of I. B. Singer and the plays of the Yiddish theater are rich in the mythology of East European Jewry: Souls that return, for whatever reason, to the world of the living. One explanation for placing stones on the grave is to ensure that souls remain where they belong. All the explanations have one thing in common — the sense of solidity that stones give. Flowers are a good metaphor for life. Life withers; it fades like a flower. As Isaiah says, “All flesh is grass, and all its beauty like the flower of the field; grass withers and flowers fade” (Isaiah 40:6-7). For that reason, flowers are an apt symbol of passing. But the memory is supposed to be lasting. While flowers may be a good metaphor for the brevity of life, stones seem better suited to the permanence of memory. Stones do not die. Yet tsror in Hebrew means a pebble. In ancient times, shepherds needed a system to keep track of their flocks. On some days, they would go out to pasture with a flock of 30; on others, a flock of 10. Memory was an unreliable way of keeping tabs on the number of the flock. As a result, the shepherd would carry a sling over his shoulder, and in it he would keep the number of pebbles that cor­responded to the number in his flock. That way he could at all times have an accurate daily count. When we place stones on the grave and inscribe the motto above on the stone, we are asking God to keep the departed’s soul in His sling. Among all the souls whom God has to watch over, we wish to add the name — the “pebble” — of the soul of our departed. Reprinted with permission from Wrestling with the Angel: Jewish Insights on Death and Mourning, edited by Jack Riemer (published by Schocken Books).